The Easter break gives us more time to relax and enjoy this beautiful time of year. 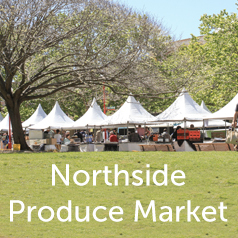 Northside Produce Market will be filled with produce at its seasonal best and delicious artisanal delights to take home and share with family and friends. Late Autumn plums such as Yellow Sun and Red Moon will be making perhaps their final appearance for this season at the Banana Bar stall. Prickle Hill Produce will have the last of their Jujubes – Chinese Dates and the Eureka Lemons had a 2nd flowering so we are graced with their presence. Stallholder Simon Chung of the Vegie King says that their grape tomatoes are a highlight and on the leafy greens front, baby Bok Choy and English Spinach are ahead of the field. 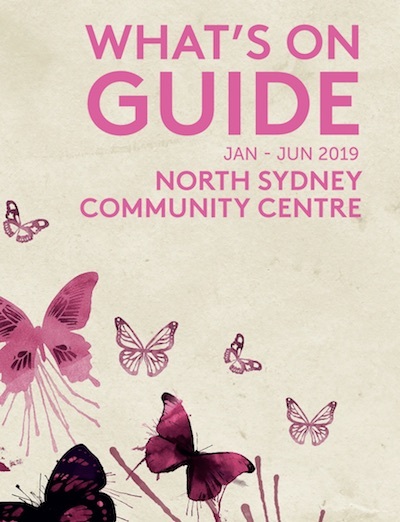 It’s perfect timing for stallholder From Silvia – Gluten Free Cuisine to launch their 'Meals to the Door' this Saturday so that you can keep relaxing after the long weekend. Silvia and team have worked hard developing their Eat Clean Food Program including meals such as Thai Red Curry with Salmon and Sweet Potatoes to Vegetarian Meatballs with Quinoa and Ratatouille, all of which can be tailored to meet any dietary requirements. Since our 4-legged customers can't eat chocolate, Australian Natural Pet Treats will be jumping over from our 1st Saturday of the month Northside Produce Market into this 3rd Saturday of the month market. A special pop-up Easter treat pawfect for the pooches this Saturday! Sniff out the crepes at La Truffiere’s stall filled with your choice of raclette cheese, home-made jam, chocolate spread, honey and more and if you don’t have a sweet tooth, their pickled eggs are for you. For our younger customers, we have an informative Treasure Hunt to help connect them to the source of their food. We’ll see them hopping about, asking stallholders questions about their produce, gathering answers to collect the treasure. The Hunt begins and ends at the Red NSCC Info stall, located along the path in the middle of Civic Park. Sadly, we have had to say goodbye to the Kristen Allen Cheesemaker stall as they have closed their business.